Make Sunday your lucky day and play the best online slots with a 100% easy win match bonus from Slots Capital Casino! Redeem the coupon code EASYSUNDAY in the casino' cashier to claim your low 20X wagering requirement match bonus and win as much as you can. Alternatively, spin the reels of the new Hot Hand slot with the 20 free spins bonus code HOTHANDFREE. 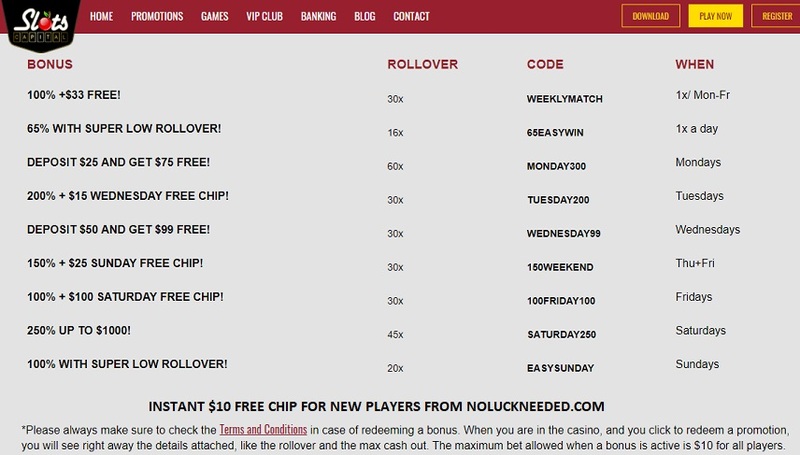 New players will receive an instant $10 free chip sign up bonus after creating an account via NoLuckNeeded.com. Good luck!